Last week, the Microsoft Build conference brought developers lots of innovation and was action packed with in-depth sessions. During the event, my discussions in the halls ranged from containers to dev tools, IoT to Azure Cosmos DB, and of course, AI. The pace of innovation available to developers is amazing. And, in case there was simply too much for you to digest, I wanted to pull together some key highlights and top sessions to watch, starting with a great video playlist with highlights from the keynotes. .NET Overview & Roadmap: In this session, Scott Hanselman and Scott Hunter talked about all things .NET, including new .NET Core 2.1 features made available at Build. Scott Hanselman and Scott Hunter sharing new .NET Core 2.1. With AI being top of mind in the tech industry, we were excited to share our work on Visual Studio IntelliCode, which helps enable developers by providing intelligent suggestions improving code quality and productivity. We also announced the public preview of Live Share, which lets developers collaborate on their code and problem solve across Visual Studio and Visual Studio Code on Windows, Mac and Linux. Jason Warner, SVP Technology at GitHub, also joined Scott Guthrie on stage to talk about Microsoft’s commitment to open source and some of the work our teams have been doing. This included the announcement that if you’re building mobile apps on GitHub you can now use Visual Studio App Center to set up and automate your continuous integration process in just a few clicks, check it out. Get in the Zone: Visual Studio 2017 Productivity Enhancements: This session focused on how to be a better, faster .NET developer using Visual Studio 2017. Building full-stack Node.js web apps with Visual Studio Code: A great session that demonstrates how to get the most from Visual Studio Code, our open-source, cross-platform editor, and Node.js. Why Kubernetes on Azure: Build 2018: This session shows how to simplify the deployment, management, and operations of Kubernetes using AKS, as well as a wide variety of tools in the Kubernetes ecosystem for CI/CD, observability, storage and networking. 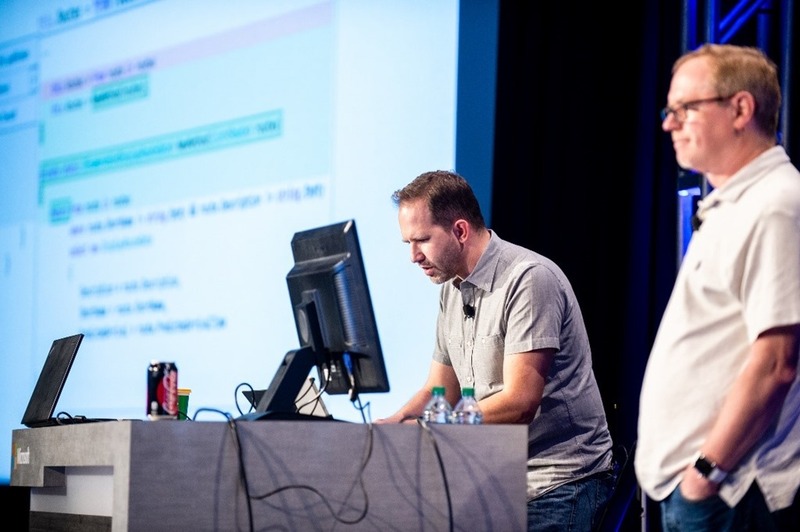 Iteratively Develop Microservices with Speed on Kubernetes: This session showed how to rapidly iterate and debug code directly in Kubernetes using familiar dev tools like Visual Studio Code and Visual Studio with the programming language of your choice. App Modernization with Microsoft Azure: Learn how Azure helps modernize applications faster with containers, how to use serverless to add additional functionality, and how to incorporate DevOps throughout your apps lifecycle. A significant amount of our recently announced $5 billion investment in the Internet of Things (IoT) is in new innovation, so there was a lot of new IoT tech to show at Build. 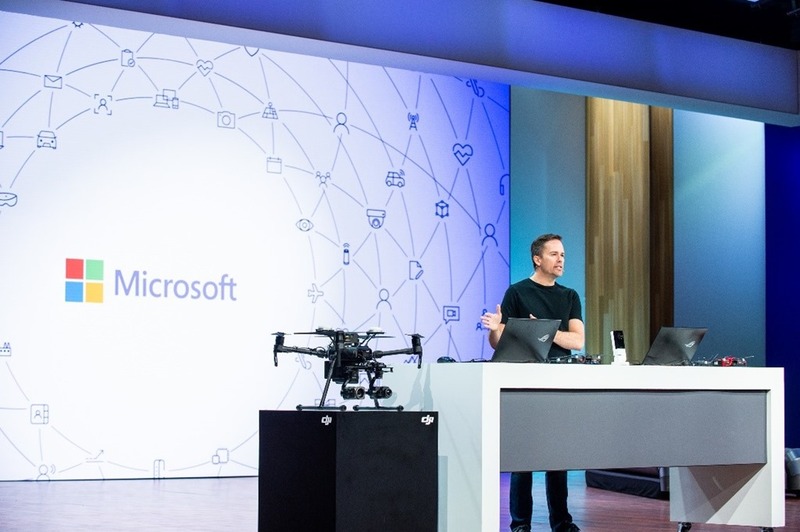 Some of the top announcements were that we are open-sourcing the Azure IoT Edge runtime to give customers more transparency and control over their code and partnership with DJI, the world’s largest drone company, and to bring the Edge to more devices. Sam George, Partner Director, Azure IoT, showed off some of these devices in an awesome demo in Satya’s Vision Keynote with a drone flying on stage! Sam George about to take flight at the Build keynote IoT demo. It’s also worth reading his recap blog post, Microsoft Azure IoT Edge – Extending cloud intelligence to edge devices. Microsoft IoT Overview, Vision and Roadmap: Build 2018: This is a great session to get started and understand the breadth of IoT services and solutions from Microsoft. Azure IoT Platform services - The modern IoT developer toolbox: This demo led session covered the breadth of what’s available for modern IoT developers across Azure IoT. Secure and power the intelligent edge with Azure Sphere: Learn about the hardware, OS, and cloud service that make up Azure Sphere, how to develop Azure Sphere applications with Visual Studio, and how to connect devices to Azure services. The confluence of cloud, data, and AI is driving unprecedented change. The ability to utilize data and turn it into breakthrough insights is foundational to innovation today. Data is also vital to every app and experience we build today. And, modern apps require databases with greater scale, performance, and flexibility – enter Azure CosmosDB. Azure CosmosDB is a globally distributed, multi-model database service. CosmosDB was celebrating its first birthday at Build 2018 and it’s been a busy year for the team! We made lots of CosmosDB-related announcements at Build, including a preview of multi-master write capability. This capability unlocks new use-cases where multiple writes can happen across the globe and each synchronizes simultaneously across locations. Read through the blog post from Rimma Nehme, Group Program Manager, Azure CosmosDB, for the full run-down. From an AI perspective, modern apps also require new machine learning and AI capabilities, with the ability to see, hear, predict, and reason over data. Whether you’re looking for a super-efficient, pre-built AI approach or are a data scientist looking to build custom AI models, only Azure provides the full range of AI services. Technical overview of Azure Cosmos DB: In this technical overview of Azure CosmosDB you'll learn how easy it is to get started building planet-scale applications with Azure CosmosDB. We’ll then take a closer look at important design aspects around global distribution, consistency, and server-side partitioning. Learn how to model your data to fit your app’s needs using tools and APIs you love. How to migrate your existing MongoDB and Cassandra Apps to Azure CosmosDB: Bring your MongoDB and Cassandra applications to Azure Cosmos DB and benefit turnkey global distribution, guaranteed low latency for cloud scale. Learn how easy it is to migrate your existing NoSQL applications to Azure CosmosDB by using the MongoDB API and Cassandra API. Leveraging Azure Databricks to minimize time to insight by combining Batch and Stream processing pipelines: See how you can create simple pipelines that allow you to merge real-time data with massive batch datasets. With data-driving, automated decision-making processes infused into intelligent applications, this session will enable you to develop intelligence integration directly against your in-flight data. Demystifying Machine and Deep Learning for Developers: To build the next set of personalized and engaging applications, more and more developers are adding machine learning to their applications. In this session, you'll learn the basics behind machine learning and deep learning, and you'll walk out with all the things you need to build an image classifier for your application. There is so much more to share, I could keep going. I haven’t even touched on new Azure Stack features to help developers build intelligent hybrid applications, and there’s so much more available for developers to see and digest. Inside Azure Datacenter Architecture with Mark Russinovich is on track to be one of the most viewed of all the Build sessions. 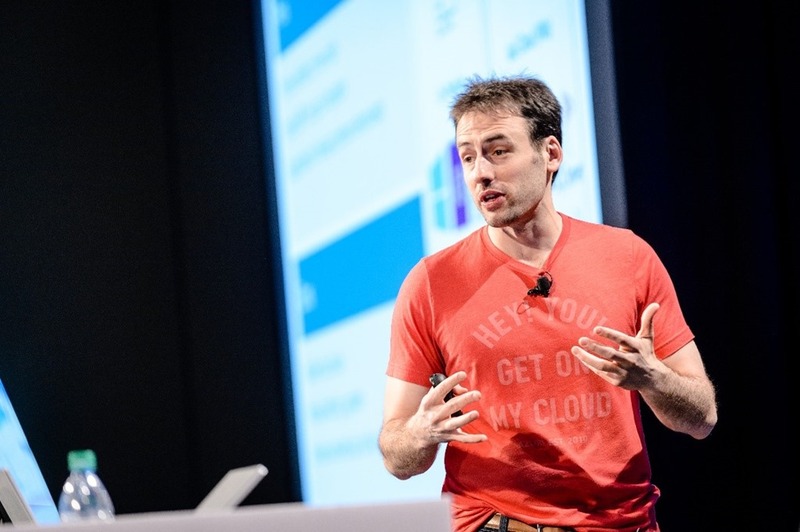 Mark is our Azure CTO and in this session he takes you on a tour of Azure’s datacenter architecture and innovations, covering everything from datacenter designs to how we are using FPGAs to accelerate networking and machine learning. Of course, you can check out and watch all of the sessions at Microsoft Build Live. Thank you to everyone who travelled to visit us at home in Washington. It was awesome to host you all! See you soon and don’t forget to register for Microsoft Ignite, our biggest tech conference of the year, on September 24–28, 2018 in Orlando. You’ll get five packed days of training, product deep dives, hands-on experiences and networking. Hope to see you there!